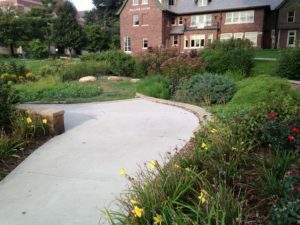 The University of Nebraska at Omaha (UNO) Bioretention Garden project is located on the west side of the main campus, adjacent to the university’s Welcome Center. The scope of this project was to replace an old, outdated Best Management Practice (BMP) that was being used for stormwater management with a new aesthetically pleasing green infrastructure feature. The garden is split into two different bioretention systems allowing runoff from both the Welcome Center rooftop and surrounding landscape to be captured, stored, and infiltrated into the amended soils within the garden. 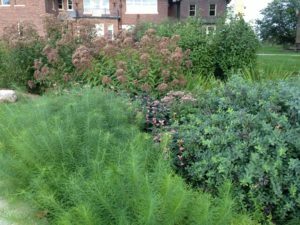 The bioretention systems are a unique teaching tool and an amenity to the UNO campus. 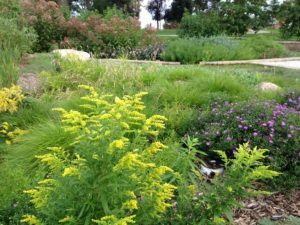 This project was part of a multi-institution collaboration between UNO, the City of Omaha Stormwater Program, and the Nebraska Statewide Arboretum. 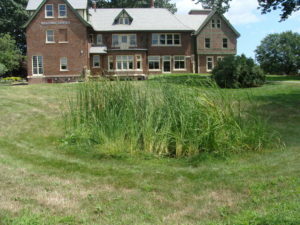 Several monitoring techniques are being used to evaluate and assess the performance of both bioretention systems. Soil moisture and soil temperature sensors have been installed in both bioretention systems. A pressure transducer has been installed in the north bioretention system providing water level measurements. In addition with seasonal infiltration testing, these variables will provide insight into how the bioretention systems perform during and after rain events. Two monitoring cameras have been recently installed to view both the north and south bioretention systems. 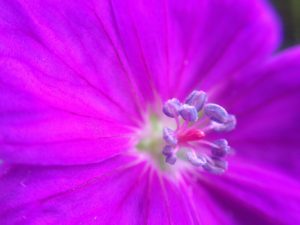 These cameras will help capture phenological variations of the plants within the gardens, as well as help to identify how plants respond to both dry and wet weather periods. 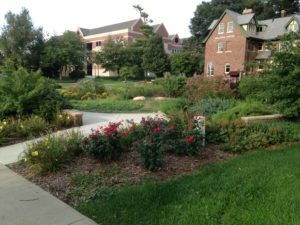 Access the weather station data for the UNO Welcome Center Bioretention Gardens. For more information check out the University of Nebraska-Omaha Welcome Center Fact Sheet.